I learnt a new word this weekend. Diurach. I don’t know about you, but I get slightly stressed about having people to stay. Not because of them, but because of me – I worry constantly about whether I’m a good enough host. I lie awake and wonder if their bedroom is too hot or too cold. I worry that their mattress isn’t comfy, or that they don’t have enough space. I wonder if they think I keep my bathroom clean enough, if they enjoy what we cook them for dinner, and if I make their cups of tea just the way they like them. I worry that they will spot cobwebs in the corners that I have missed, that they will judge me based on the contents of my fridge, and that they’ll think I’m a terrible parent when DorkySon has an end-of-day meltdown. I even worry about the weather, and feel the burden of responsibility when there’s a grey day outside. But this weekend, I had perfect houseguests, who made me feel rather silly about all my worrying. My oldest friend A – the aforementioned Diurach-Hearach – brought her boyfriend D and baby K to stay, and we had the loveliest few days. I was reminded that there is nothing better than spending time with someone who has known you a long time; someone whose company you find entirely comfortable. They came bearing gifts of single malt and Kinder Eggs. They ate and drank everything we put in front of them without fuss. Baby K is smiling and beautiful, and incredibly well behaved. On the night that we babysat and they went out to dinner, she fell asleep in my arms about ten minutes after they left, and woke ten minutes before they got back. Basically, we spent enough time together to feel like we’d had a good catch up, but not so much that we tired of each other. I don’t know why I was worried. My friend has always been easy company, and it makes sense that the life partner she has chosen and the daughter she is bringing up would slip right into place in our lives too. They are gone now. Flying north as I type, back to that tiny island of just 200. DorkySon’s lip wobbled this morning when he woke up and found the spare room empty… but on the walk to nursery he remembered that there is still one Kinder Egg in the drawer, that he is yet to do the jigsaw they brought him. 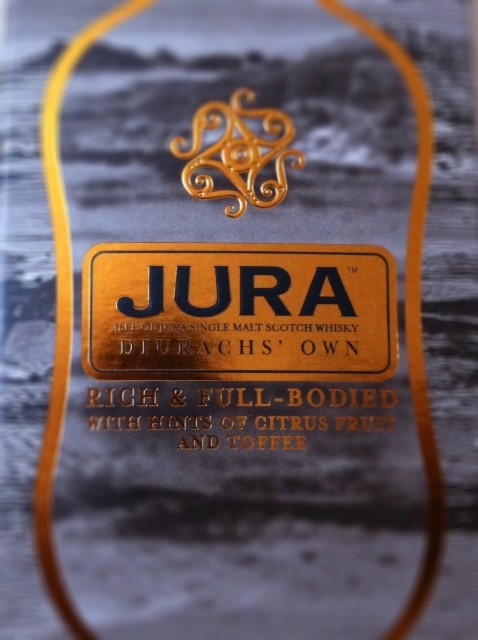 And when DorkyDad and I have a dram before bed tonight – a wee scooch of that 16 year old Jura, spicy and sweet with a hint of citrus – our bellies will burn with the warmth of true friendship. I am delighted to have been shortlisted in two categories of the BritMums Brilliance in Blogging Awards – Commentary and Outstanding. Thank you SO very much for your support. If you’d like to see me as a finalist, you can vote for me here. Oh bless Dorkyson! I love catching up with my best mate of nearly 30 years at Christmas.I can’t imagine living on island of just 200 people. I’ve lived on a small island, but not *that* small! It sounds quite appealing, but must be tricky if you have a dispute with a neighbour! Time spent with old friends is nourishing to the soul. As can be the odd wee dram of excellent scotch. Lovely post. I think that is the beauty of having old friends visit… it is easy, uncomplicated, gruntling and judgment-free. What a lovely post! A beautiful post about friendship. Friends that you feel so comfortable with are hard to find! They’re so precious! And it’s so good to be reminded that distance doesn’t make a difference – you can pick up right where you left off. Oh lovely – sounds like you all had such a contented time – that’s how your words came across, warm, and contented. X.
That’s the perfect word for it. Real contentment.